This is probably the biggest one. And one that you'll probably start thinking about now because just from reading this you'll be more aware of how much unnecessary packaging there is in the world. A big part of going zero waste is trying to cut down on the number of items that you buy that can't either be composted, reused, or recycled. By being more aware of packaging and how to dispose of it, like knowing styrofoam goes in the trash, you are not only helping the planet but you are also escaping some packaging types that are worst for your health (again styrofoam!). Looking for options that have less packaging not only creates less waste but is also usually healthier. Think about what's in your kitchen cupboard right now. Many times that food packaging isn't as innocent as it looks. While it might seem like just an aluminum can, did you know most aluminum cans are lined with BPA to keep the food from reacting with the metal? Or, that shiny cardboard isn't just cardboard. It's usually lined with PFAS to make it oil- and water-resistant so that the food inside doesn't seep out? And don't forget about the number of plastic bottles and cups you avoid. Bringing a reusable water bottle is a great way to stay hydrated, avoid plastic chemicals, and reduce waste. Instead of prepackaged snacks or drinks on the go, if you are trying to reduce waste you'll often go for fresher, healthier, unpackaged options like nuts (or chocolate chips) from the bulk section, fruit from the farmers market, or pop your own popcorn. 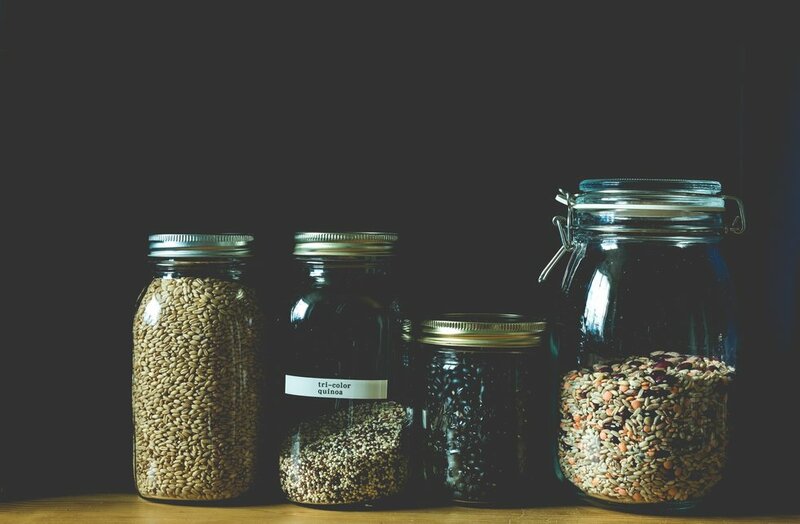 We talked to Anne-Marie Bonneau, better known as the Zero Waste Chef, who put it pretty simply. "I could make crackers or cookies, but that is a lot of work every time you want a snack. 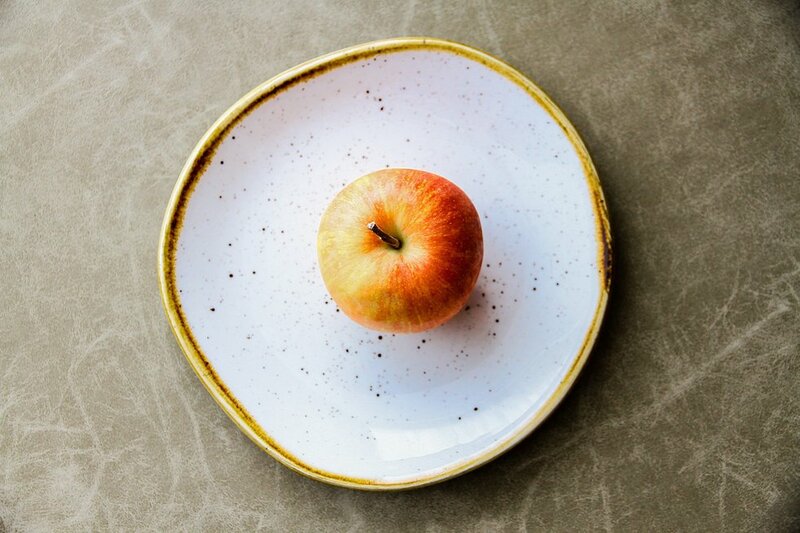 So, often times I turn to something like an apple [instead]." It's true though, you could spend time making package-free versions of some of your favorite snacks (and we have put together a list of some of our favorite DIY versions), but for those times you're feeling lazy, if you shopped healthfully and for foods without packaging, then when you want a snack, chances are you'll grab a piece of fruit or some cut up veggies instead. Some days you'll miss the plastic pack of gummy bears or bag of chips, but other days you'll feel like you're rocking the whole healthy thing and be pretty happy. Another way the zero waste mindset helps us live a little healthier is the mindset of always packing your own reusables. 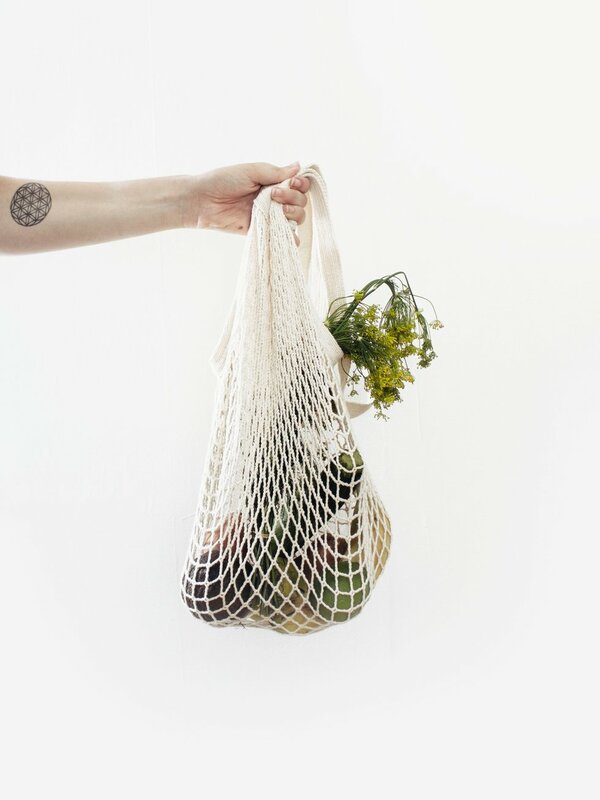 "Before leaving the house, make sure you are prepared with a tote, produce bags, and a jar so you can avoid every day single-use plastics that really add up! 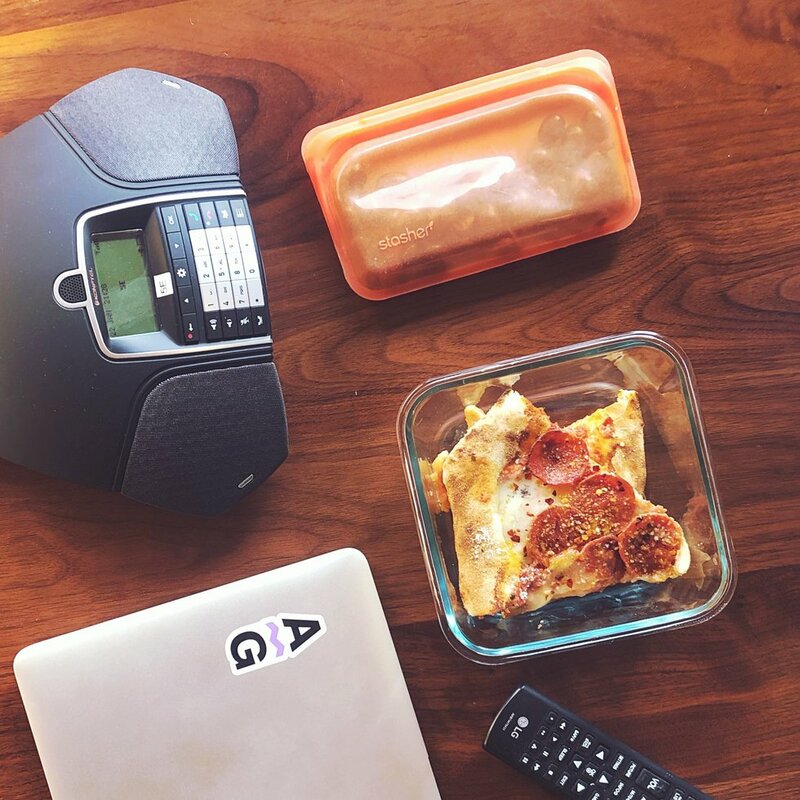 [With] this easy habit change, you can avoid so much unwanted plastic and trash, " Says Stevie Van Horn (@stevieyaaaay). Maybe for you it's bringing your own reusable bag,or carrying a travel mug around so when you stop for coffee you aren't getting a single-use to-go cup. No matter what it is, all of these easy changes are better for you, too. Most of these are because you are cutting down on the amount of plastic that your food and drinks come into contact with on a daily basis, which means less BPA and phthalates. Think back to your lunches as a school kid. How often did you have a PB&J; in a sandwich baggie, with a cut up apple wrapped in plastic wrap and a foil pack of cookies or chips? Probably pretty often. That was a great school lunch. But, what do all of those things have in common? At the end, you would throw all of that packaging away. For those going zero-waste, they could pack the same lunch today without any trash, and it would be so much healthier. Instead of wrapping every item in plastic which could get into the food or on your hands, today it would probably have a reusable sandwich bag, a beeswax wrap, and a stainless steel container. Not only would it be zero waste and healthier, but all of those would also last for a long time before ever having to add refills to the shopping list. The same can be said for packing leftovers from dinner to go in the fridge or packing your own grown-up lunch. Instead of reaching for a plastic bag or some plastic wrap to cover a bowl, grab a glass jar, a stainless steel tiffin, or even some beeswax wraps. Okay, we know not everyone has time to DIY everything, but some of the easiest DIYs out there are easier than going to the store, can save you some money, and greatly improve your health. For us, those DIYs are about cleaning. You can clean pretty much your whole home with a cloth, baking soda, vinegar, and Castille soap. Not only does this dramatically cut down on waste, but it also cuts out a ton of potentially dangerous chemicals. 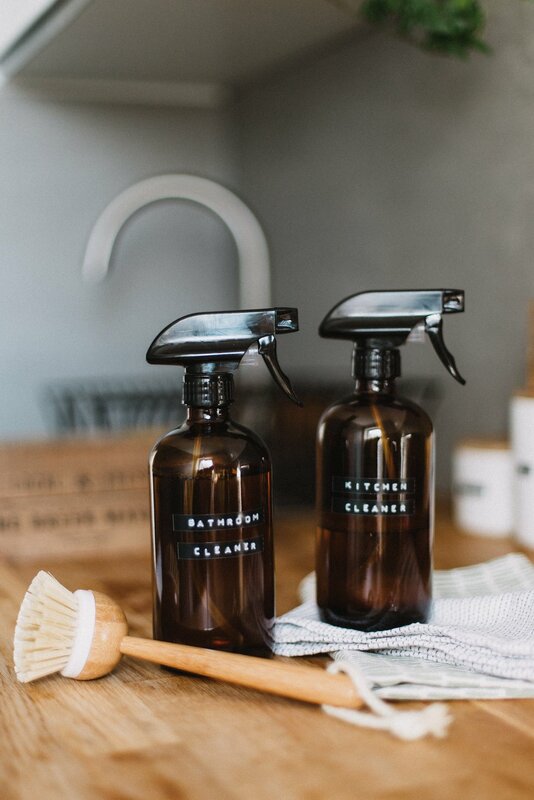 Pick up a few glass spray bottles and you will be set without having to throw away any more plastic bottles, paper towels, or wipes. We might not be able to go from our normal routine to making no trash right away, but we can all definitely make one or two changes that will help save the planet, improve our health, and in general maybe make our lives easier. We'd suggest making one change at a time, but over time, trying to work in a couple more until it's all second nature.